With the many advances in dental technology, our St Clair Shores Sedation dentist is able to efficiently provide quality dental care to you and your family by offering sedation dentistry. You no longer have to postpone your dental appointments in fear of the dentist! – Have difficulty getting numb. With sedation dentistry in St Clair Shores, our dentist can treat even the most anxious patients and often accomplish dental work in one or two visits that may have required many more visits without it. Sedation with nitrous oxide (laughing gas) decreases anxiety and promotes relaxation while you remain conscious. Nitrous oxide and oxygen are mixed together and then inhaled through a mask that covers the nose and mouth prior to having a dental procedure performed to produce relaxation, and a state of overall comfort. Safe, effective, and non-invasive, nitrous oxide is the sedation method of choice for anxious or fearful patients. This form of sedation dentistry allows patients to ease their anxiety by swallowing a pill. This pill allows you to feel more relaxed while being awake during treatment. On occasion we give oral sedatives to help relax our nervous patient. We are a gentle and caring team and we want to make sure that you are able to tend to your oral health is a way that is most comfortable for you. 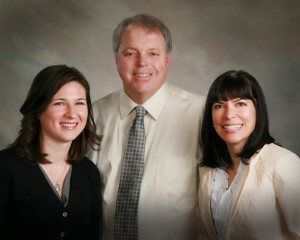 For more information about our St Clair Shores sedation dentistry options, contact our office. Our St Clair Shores Sedation dentist and team are dedicated to providing the highest quality care in the most comfortable environment. We offer convenient night and weekend hours, accept most insurance plans and have over 35 years of experience!